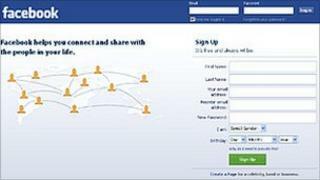 People with the most Facebook "friends" are more likely to feel stressed out by the site, according to researchers. Edinburgh Napier University found a significant minority of users suffered "considerable Facebook-related anxiety". The university's Dr Kathy Charles, who led the study, said: "The results threw up a number of paradoxes. "For instance, although there is great pressure to be on Facebook there is also considerable ambivalence amongst users about its benefits. "And we found it was actually those with the most contacts, those who had invested the most time in the site, who were the ones most likely to be stressed." She said: "It's like being a mini news channel about yourself. The more people you have the more you feel there is an audience there. "You are almost a mini celebrity and the bigger the audience the more pressure you feel to produce something about yourself." Dr Charles added that an "overwhelming majority" of respondents reported that the best thing about Facebook was "keeping in touch" but many people said they were anxious about withdrawing from the site for fear of missing important social information or offending contacts. "Like gambling, Facebook keeps users in a neurotic limbo, not knowing whether they should hang on in there just in case they miss out on something good," she said. The survey also found that other causes of tension included purging unwanted contacts, the pressure to be inventive and entertaining, and having to use appropriate etiquette for different types of "friends". Just how bad is Facebook for you?